There is contradictory evidence regarding the merits of restricted versus liberal perioperative intravenous (IV) fluid administration in bowel surgery. 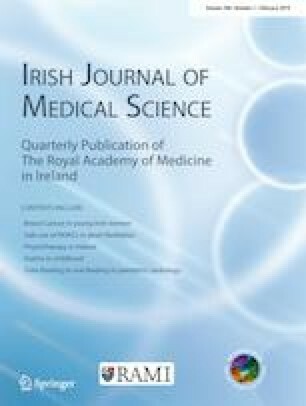 This study sought to audit perioperative fluid management in elective colectomy in Ireland and to analyse the impact of such on operative outcomes. A national surgical trainee collaborative audit of perioperative fluid management was performed. Data from each site was collected prospectively over a selected 3-week period within a pre-defined 2-month block. Collected variables included demographics, type of operation/anaesthethic, volume/type of fluid administration pre-, intra- and post-operatively, 30-day morbidity and mortality. Primary outcome was fluid balance 24-h post-operatively with further analysis to identify the impact of this on 30-day morbidity. ROC curves were generated to identify the critical volume at which fluid balance was associated with 30-day morbidity. Ninety-four patients were enrolled from 17 hospitals. Mean age was 64 years. A total of 48.9% (N = 46) were managed by ERAS and 51.1% (N = 48) received bowel preparation. Almost 70% of cases (N = 63) were completed by minimally invasive techniques. Significant 30-day morbidity requiring hospital readmission was low [6.4% (n = 6)]. Median fluid balance at 24 h was + 715 ml (IQR 165–1486 ml). On multivariate analysis, high BMI (p = 0.02), indication for surgery (p = 0.02) and critical care admission (p = 0.008) were significantly predictive of 30-day morbidity. Twenty-four hour fluid balance >+ 665 ml was associated with increased risk of 30-day morbidity on univariate but not multivariate analysis, implying association but not causation. Overall, perioperative fluid management was within an acceptable range with minimal impact on 30-day morbidity following elective colorectal surgery. Ethical approval was sought prospectively from each regional clinical ethics committee prior to commencing data collection. Authorship was assigned in keeping with the Association of Surgeons in Training (ASiT)/National Research Collaborative (NRC) authorship model.